The festival’s closing film…. 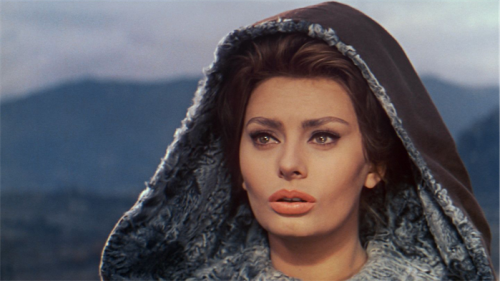 the 1961 colour blockbuster “El Cid” starring Sophia Loren. THERE’S a glint of missionary zeal in the eyes of Canberra International Film Festival director Andrew Pike when he talks about cinema. That’s a description he is proud to own. For not only is Pike one of Canberra‘s leading film professionals but he is quite literally the grandson of missionaries, who once spread the word in south-west China – “it’s in the DNA,” he says. As part of the recovery process from an event that almost collapsed under a succession of managements unable to compete with competition from other “big” film festivals, the mission at hand is to give Canberra a unique festival, one matching the sophistication and intellectual strength of the city’s audiences, and Pike thinks he knows how to go about it. He is determined to make the festival zoom in on Australia’s often-unacknowledged cinema geniuses, beginning with Robert Krasker. Known as one of the great cameramen of cinema’s “Golden Age”, he was the first Aussie ever to win an Oscar for his moody expressionist cinematography in the 1949 film “The Third Man”, which will open the festival. 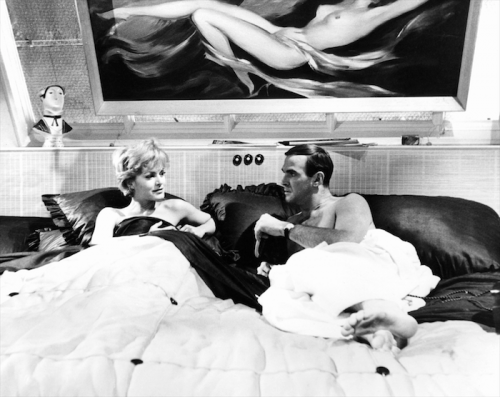 Australian cameraman Robert Krasker shot the 1960 film, “The Criminal” with Stanley Baker and Margit Saad. With at least 50 films to his credit, Krasker shot for the elite Italian director Luchino Visconti, also filming Joe Losey’s 1960 film, “The Criminal”, where actor Stanley Baker plays the lone wolf trying to outwit a large crime syndicate. The closing film in the festival will be the 1961 colour blockbuster “El Cid”, starring Sophia Loren and Charlton Heston, celebrated for Krasker’s long shot of the dead hero riding away, tied upright to his horse. His vistas of dark and light made him famous, but not in his own country. That’s about to change with present National Film and Sound Archive chief Jan Müller keen to set up a Krasker collection. Money is very much on Pike’s mind. He is paid a tiny fee, “effectively pro bono”, but works with a team of loyal volunteers. Box office receipts jumped by 30 per cent last year and as part of “a careful restructuring” the event has been downsized from 10 to three days. “We hope to do a longer festival next year with five or six days and more strands,” he says. 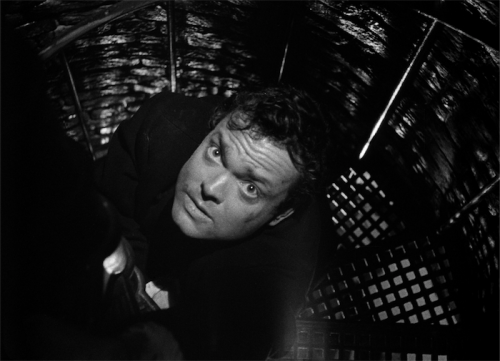 Orson Welles tries to escape the sewers of Vienna in 1949 film “The Third Man”, which opens the Canberra International Film Festival. Official funding in the ACT system, Pike explains, is chancy – on again, off again – and they get nothing from the Australia Council, but happily, Screen Australia has provided some funding to bridge the process of transition. “The trouble with government funding is that the funding authorities aren’t really engaged and while occasionally they give us support, it’s an unreliable source,” Pike says. In-kind support with no strings attached has come from the Motion Picture Association, which helps them source films. “Studios have massive back catalogues of films they want to re-introduce and they need an audience,” he says. Pike believes there is a demand in Australian audiences for quality films. “So we’ve decided to become a ‘retro’ festival and we will be the only one of any substance here… the big national festivals have one or two retrospective films, but ours will be curated,” he says. “I’m originally a historian and I believe we need informed historians to locate the films for audiences, we must have Q&As at the end of each film and I want festivals with strands. He reflects that names such as Peter Finch and Errol Flynn are unknown to young filmgoers now, to say nothing of Australian artist John Farrow who won an Oscar and directed almost 50 movies – now the only thing he’s famous for is having been Mia Farrow’s dad. The 1965 Australian drama, “Sunday Too Far Away”, has been restored by the NFSA and will be screened, but international cinema will get a look-in, too, with Margarethe von Trotta’s film “Searching for Ingmar Bergman” and Tatiana Brandrup’s “Cinema: A Public Affair”, about the destruction by bureaucracy of the Moscow Film Museum, a cautionary tale for Australian film lovers. Pike is already looking ahead to 2019 when he’s planning a close-up look at a true movie superstar who grew up in Canberra – Jackie Chan.